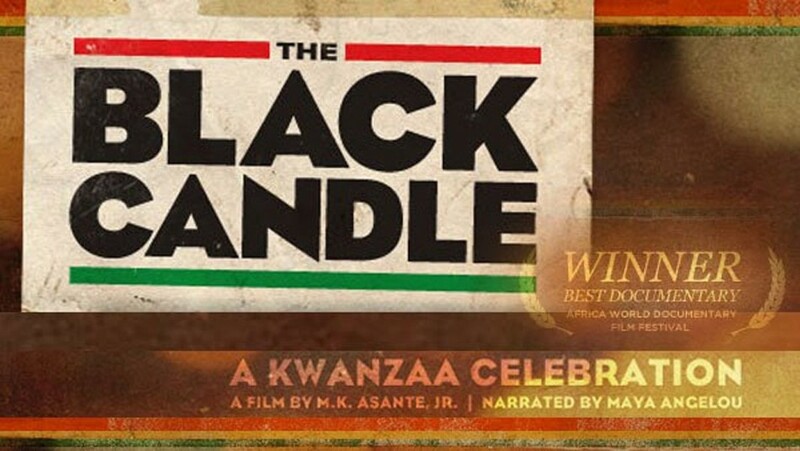 FILM | "The Black Candle"
To set the stage for Kwanzaa 2016 (which kicks off with Umoja on Monday, December 26), the Baobab Cultural Center (728 University Avenue) will host a screening of "The Black Candle" on Friday, December 23, from 7 to 9 p.m. The 2008 documentary explores the struggles and triumphs of the African-American family, community, and culture, and is narrated by Maya Angelou and directed by professor, author, and filmmaker M. K. Asante. The film spotlights Kwanzaa as its main narrative thread, tracing the holiday's roots in the Black Power Movement of the 1960's to its expressions in the present day as a global, pan-African celebration of Black Pride with more than 40 million celebrants. A discussion will follow the screening. The event is donation-based; RSVP by emailing baobab.center@yahoo.com. For more information, call 563-2145 or visit facebook.com/baobabculturalcenter.